Parallel Landscapes is the first solo full-length album from Swiss artist Steinbrüchel on 12k, despite his relationship with the label and apperances on compilations, collaborations (Status, with Frank Bretschneider (12k1033)) and EP releases (Mit Ohne, (12k2010)). It seems that Steinbrüchel was waiting for the right moment to release such an illustrious album that is not only a release of music but of visual art as well. 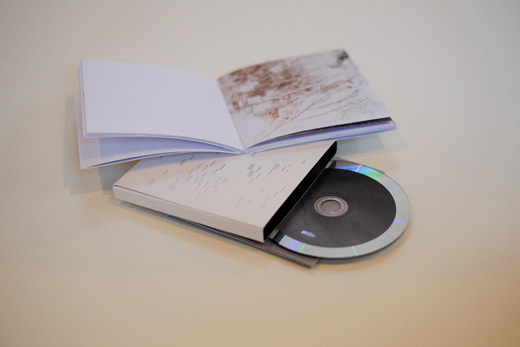 Parallel Landscapes consists of a compact disc in a cd wallet and a beautifully printed sixty page colour printed booklet with a laser stenciled wrap-around cover conceptualized and designed by Steinbrüchel featuring photographs from Taylor Deupree and an essay by Lawrence English. The booklet and cd wallet are housed in a slipcase printed inside and out in black and white on contrasting paperstocks. 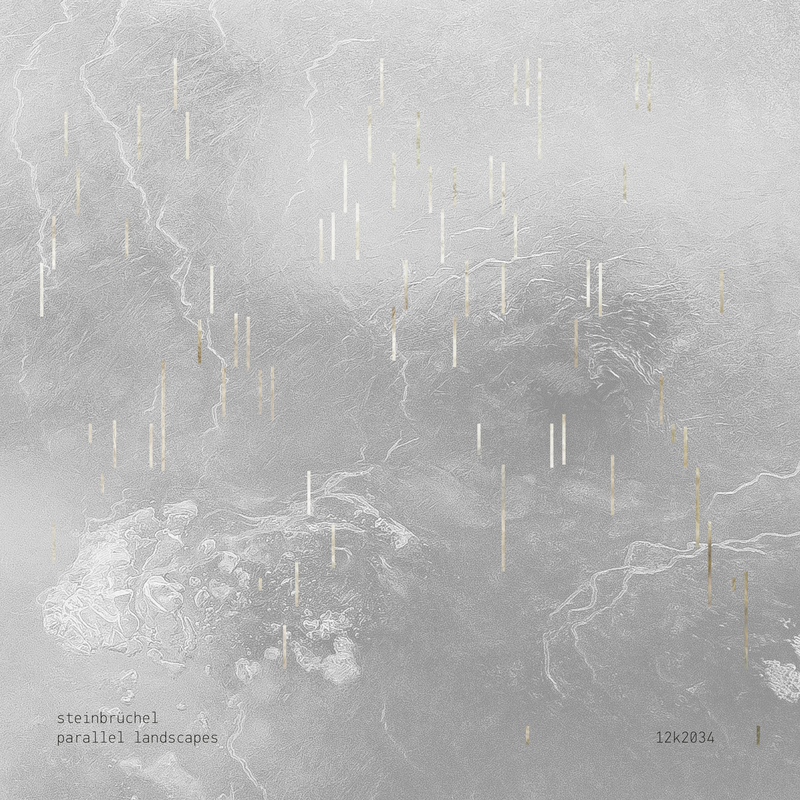 The music on Parallel Landscapes was created with the design process in mind. Steinbrüchel engaged himself with ideas of «designing» music instead of making or writing music and about the importance of music existing with (or without) visual enhancement. The ideas of landscape, while not new in the musical world, were prevalent throughout the creative process. Music vs. landscape, music as horizontal layers, drawing new curves (landscapes) over sound files, imposing one landscape onto another and hearing/seeing the results. However, the album isn¹t just about horizontal combinations but vertical inbetweens as well. What happens from one event to the next? What happens when events are combined? How does the addition of one object (audio, visual) redefine another object next to it? What happens to a table when a chair is placed in front of it? ... And how does all of this coalesce into sonic and visual space? There¹s an incredible amount of exploratory thought behind Parallel Landscapes that make this one of Steinbrüchel¹s most ambitious projects to date. His music has become increasingly refined but always retaining his signature sound. Still using the ideas of sine waves and pure tones but now softened with time, his palette stretches across electronics into a variety of found and acoustic sources. Bell tones are in the forefront, interspersed with the soft crackles of noise and static. Tones are stretched across the visual plane like a bell being carried across the land forever duplicating itself. Parallel Landscapes is engaging and reflective and sets a new standard in Steinbrüchel¹s creative output.